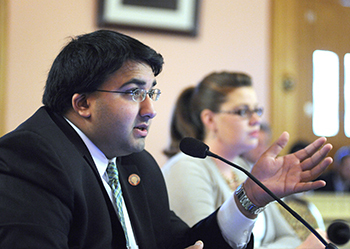 At the age of 23, Niraj Antani became the youngest serving member in the Ohio House of Representatives. Born and raised in Miami Township, Ohio, Antani remained in state and earned a Bachelor’s degree from The Ohio State University. 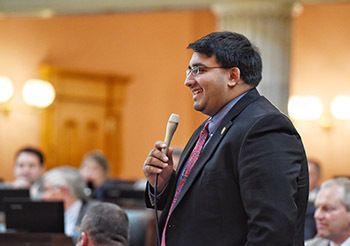 Now 25, Antani (R – Ohio House District 42) is poised to be an influential force in politics. Recognized by in 2015 by Forbes Magazine, Antani is on the list of top “30 Under 30” people in the United States for Law & Politics. The young Indian American began his foray into politics first as an intern for his congressman at the age of 16. During college, Antani participated in The Washington Leadership Program (WLP), an eight-week leadership program based in Washington, DC, where young South Asian Americans are exposed to the South Asian American political Diaspora. The opportunity to meet with and learn more about the political process from leading community figures paved the way for Antani to become a changemaker of his own right. 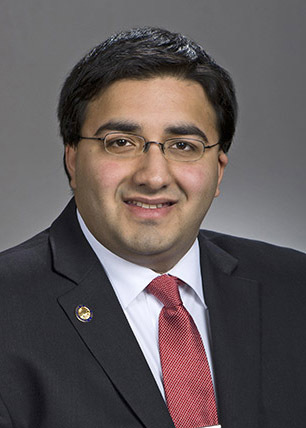 Learn more about how Antani got his start in politics as well as how his Indian American background influences his work ethic. Why politics? What inspired you to pursue a career in public service? I have been involved in politics since I was 16, interning for my congressman. Through politics, and being an elected official, we can make large change for the benefit of our community. I want to be a voice for my community, for my generation. 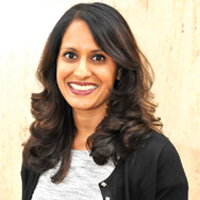 How has your experience as an Indian American shaped your career and values? The Indian-American culture has taught me the values that I hold most dear. Hard work, perseverance, independence, among others. It is through these qualities that I have been able to succeed in politics. There have been a lot of people who have influenced me. Harin Contractor, who runs the South Asian American internship program in DC, the Washington Leadership Program, first connected me to the Indian American political community. Congresswoman Ileana Ros-Lehtinen and her staff gave me the confidence I needed to succeed. Congressman Turner and his staff gave me my start. Scott Jennings and the Romney campaign gave me the grounding and skills I need to thrive in politics. Increasingly today, younger generations in the South Asian community are choosing “non-traditional” careers. What words of wisdom do you have for those, particularly those who aspire to a career in public service? We need voices who will fight for our generation of Indian Americans. Our parents immigrated here and built successful lives. Now, we need a seat at the table to advance our community to the next level. I’m proud to be the youngest Indian American elected official in the country, but we need more to get involved. All photographs by Mike Elicson, Ohio House of Representatives.